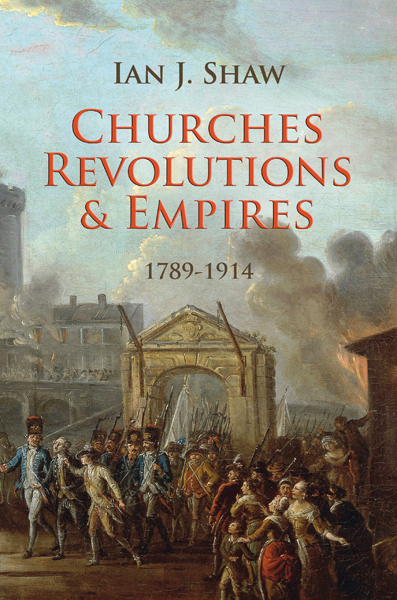 Several months ago, I had the privilege of working on the eBook version of Ian J. Shaw's new book Churches, Revolutions, & Empires: 1789-1914. In the process of assembling the book, I was able to read it and benefited a great deal from Shaw's work. I won't be reviewing the book due to my loose involvement with it, but also because I really don't have the historical expertise to evaluate Shaw's work as a historian. I will only say that it is very well-written, and I found it both enlightening and personally edifying. I especially appreciated the emphasis on the explosion of missions and the role of Christians in the abolition of slavery. Often we think of this era is a time where rationalism gained foothold and orthodox religion experienced a sort of 'downgrade,' and it is nice to be reminded that the truth is never quite so simplistic. 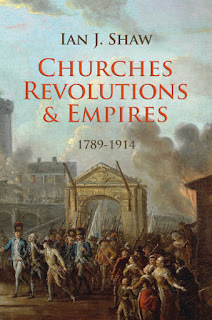 The book has received high acclaim from Mark Noll as well as Carl Trueman, who said "Ian Shaw is a first-rate historian and this is a first-rate book which should take its place as a standard account of the period." You can get the book from Westminster Bookstore for 50% off right now. If you want to see the eBook, you can purchase it from Amazon.